Sure, the NBC Sports coverage might be the defacto way to watch the Tour de France, but their dumbed-down race coverage can start to get grating after a while and Bob Roll starts to talk most real cyclists glaze over. Here’s a great way to get improved coverage for just a few bucks a month (and also get access to a world of sporting events not available in the U.S.) by signing up for Eurosport streaming coverage. 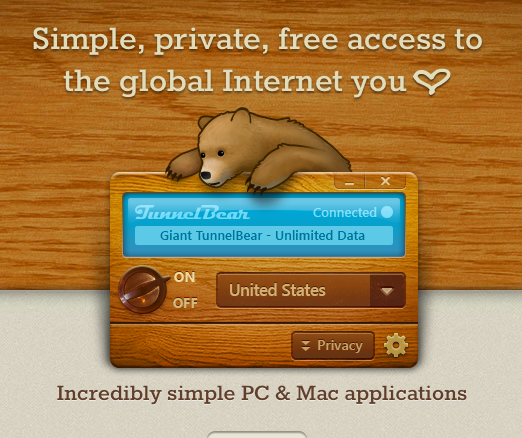 If you don’t live in Europe you’ll need to first convince the Internet that you do, and for that we recommend the super-simple service Tunnelbear. Download their Tunnebear app and sign up for a subscription and you can re-route your traffic to a Eurosport-friendly country simply by signing into Tunnelbear. Once your traffic is routed overseas, simply go to Eurosport.com and sign up for their streaming plan. All you need is a credit card, and they don’t care where the card billing location is. That’s it, then you can simply stream Tour coverage (or the World Cup or the whole continental series of races) on your computer. Bye bye Phil and Paul, hello valuable and interesting race commentary.